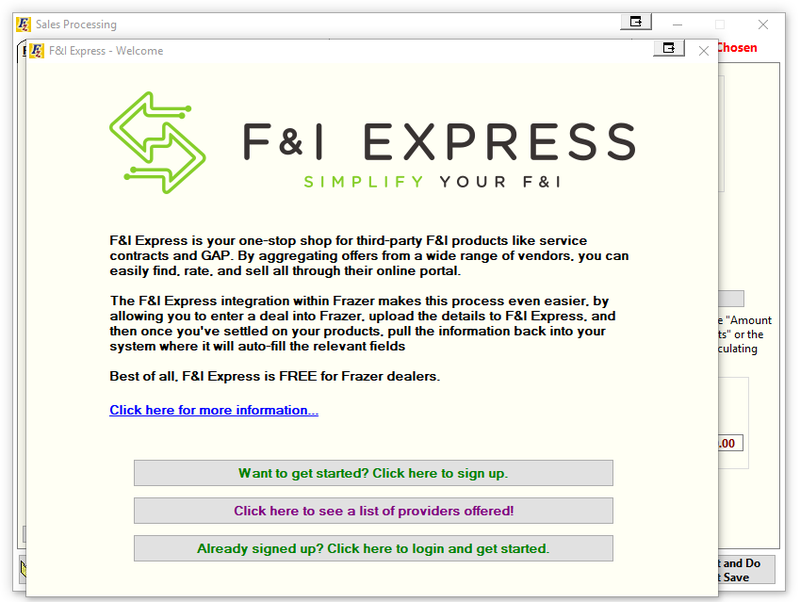 F&I Express offers a service that allows dealers to sell service contracts and gap from multiple providers. 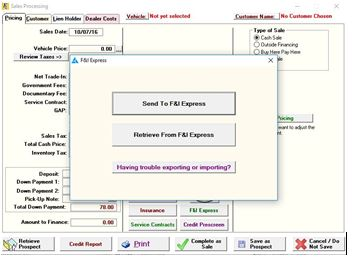 Frazer’s integration with F&I Express allows your Frazer program to push data to F&I’s web portal, select a product (or products) for your customer, print associated paperwork, and finally pull that information back into Frazer. 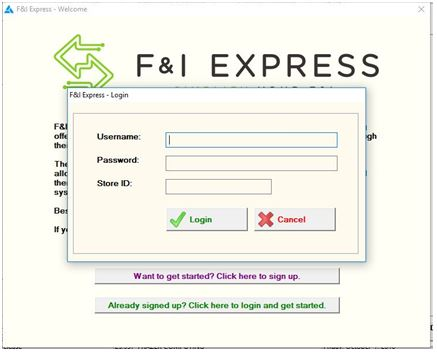 To access F&I Express, you can click on the “Service Contract” button on the “Enter Sales” screen. If you previously signed up with F&I Express (or have just done so) and just want to link it up with Frazer, click the “Already signed up? Click here to login and get started.” button. Once everything is saved correctly you will be notified that the login was successful. 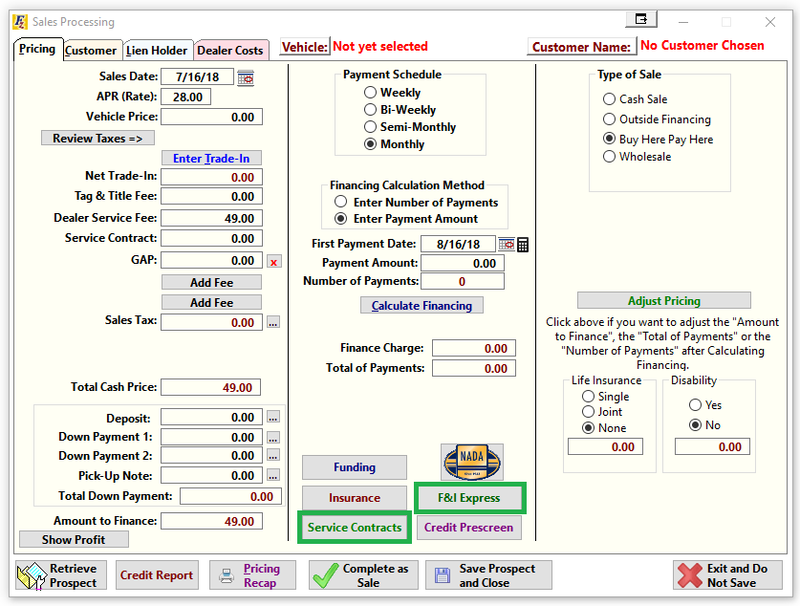 Now, anytime you choose F&I Express from the Enter Sales screen for a saved prospect you will be given the option to either send the prospect to F&I Express or retrieve the deal back from them. Selecting “Send to F&I Express” will export the specifics of the deal to their web portal and allow you to sell products to your customers and print any of the associated paperwork. Once completed return to that prospect in Frazer, click the “Retrieve From F&I Express” to import the price and cost of any GAP or service contract products sold and then you can now complete the sale as usual.